Hello, been a while since I posted but thought I would share a card recently made using my favourite brands. Starting with this cute kitty from Pion, Furry Friends and tones of browns & blues. the backing paper was fussy cut to show the bird image who accidentally flew the cage! 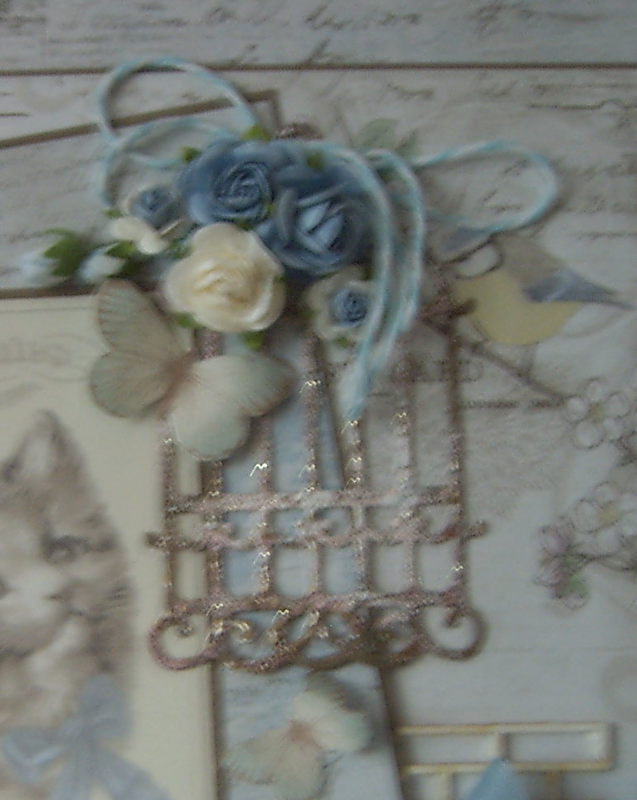 The birdcage has been embossed using Frantage and finished with pretty twine and florals. behind my image I used the Brick Wall chipboard available from Swedish House Crafts. 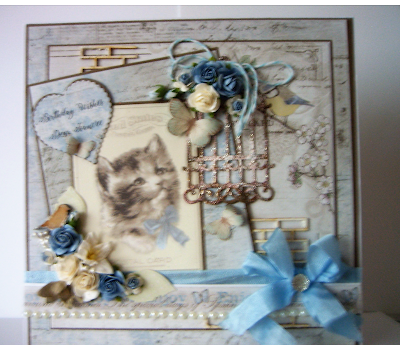 the cute little hidden chipboard bird from stash along with pearls, florals and shabby ribbon binding. Papers used were Our furry Friends and Maja design Vintage Spring. sorry regarding the photo quality but I sooo need new camera but funds don't allow with so much happening at home with new pond and drive being constructed. That is so cute kitty on the card, it is so different when see it on the sheet and when you actually use it! Thank you so much Sue! Your card looks fabulous, you've should taken some close ups.. :D I love to see tiny details lol! This is just so pretty and I love the colours you used. Thanks so much for sharing with us at Swedish House Crafts. Lovely creation, thanks for sharing with us at Swedish House Crafts. 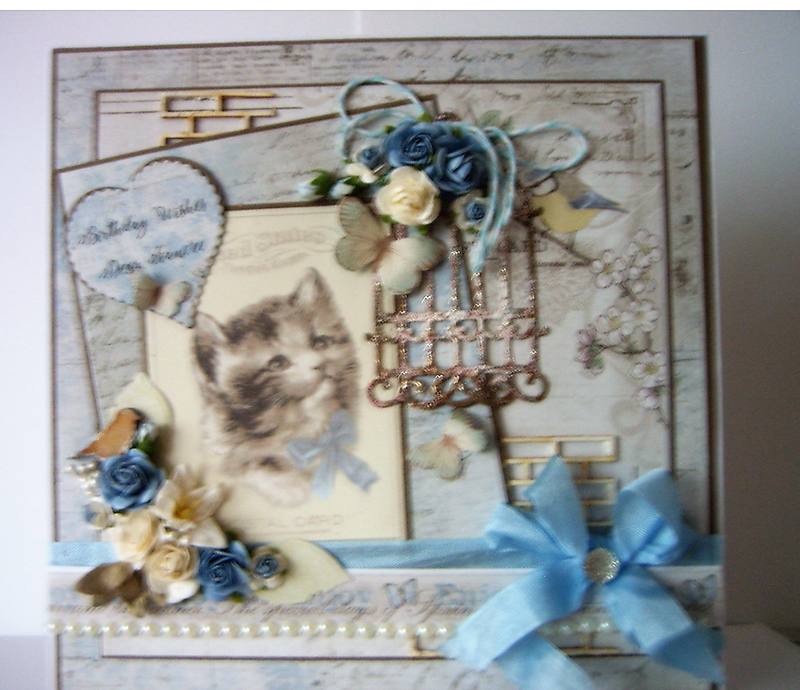 Absolutely gorgeous kitty card Sue. Thanks for sharing it with us at Swedish House Crafts.